The actual cost of not choosing the right travel trailer for you to have the ride and comfort you’re looking for in the wilderness is minuscule compared to what you will pay. The Airstream Basecamp is a travel trailer that comes to you at an affordable cost and can be the perfect location for you and a travel companion to sleep at night so that you can feel rested and refreshed for the next day of fun in the sun and wilderness that you want to experience. When you’re looking for the right place to find the Airstream Basecamp model you want to enjoy out in the wilderness, you need to see the team at Ewald Airstream in Franklin, WI. This is the location that can offer you the most affordable cost for the drive you want to make and allow you to have the comfort you’re looking for during your time in the outdoors. Just because you’re spending your daytime hours outdoors doesn’t mean you can’t enjoy the comforts of home when you’re inside the travel trailer for the night as you look to enjoy what’s offered and available for you. Take the Airstream Basecamp model with you to the side of the river that you want to travel down in a kayak, below the cliff you’re going to scale, next to the ocean while you surf, or at the base of the mountain that you want to enjoy hiking up and down during the day. This is a small travel trailer that won’t give you trouble getting where you need to go and it can offer you the comfortable and climate controlled area for you to spend your nights in order to feel fully refreshed the next morning. Because you can enjoy the benefits of the comfortable sleeping and living space that is the Airstream Basecamp you’ve chosen at a fair cost, you’ll be able to have what you want when the weather turns foul or you just need a break from the sun and the heat that surrounds you wherever you’re experiencing your adventures. Let this be the travel trailer that’s easy to take with you even if all you do is choose it as the solution over a tent when you go camping and fishing near your favorite lake where you can find the large fish to bring in and enjoy. The Airstream Basecamp is a small and impressive travel trailer that has the comforts you need to allow you and a travel companion to feel relaxed and refreshed in the morning to take on the adventures you have in mind. 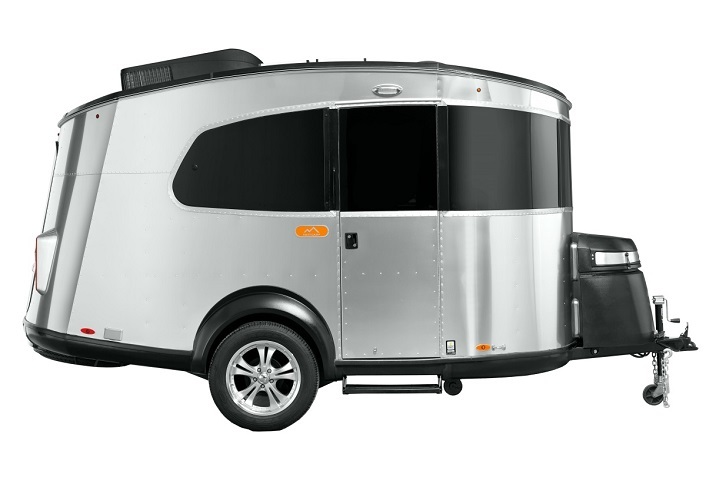 Come in and see the team at Ewald Airstream in Franklin, WI to find out what the cost will be to have this travel trailer with you during your adventures. The cost of not having it is being uncomfortable and ill-prepared for the fun you want to have out in the wilderness.